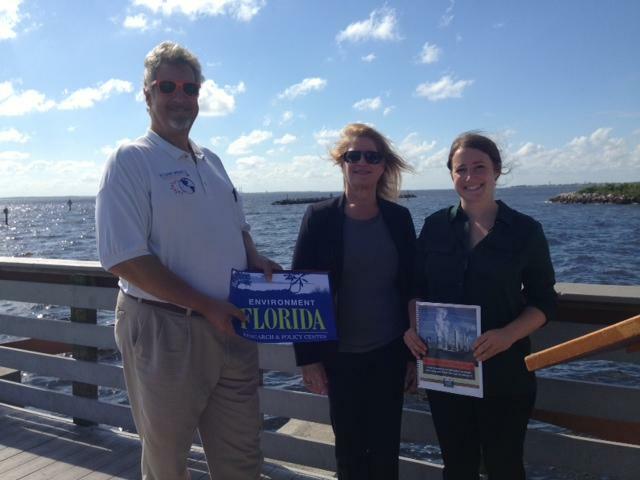 Environment Florida's Jennifer Rubiello (right) stands next to Clean Energy's consultant Susan Glickman (center) and Solar Source's Jeremiah Rohr (left). Even though Florida is known for its sunshine, we have the third-worst carbon* pollution of any state, at least according to one report. A citizen advocacy group, Environment Florida, released a report today called "America's Dirtiest Power Plants." Environment Florida used 2011 federal data to rank the dirtiest power plants nationwide. Florida ranks third in electric power sector emissions, particularly in carbon dioxide. The top polluting power plant is Duke Energy's Crystal River Plant, which is up for retirement. The second most polluting power plant is TECO's Big Bend in Apollo Beach. Environment Florida spokeswoman Jennifer Rubiello said these findings shouldn't be ignored. "If we want a cleaner, safer future for our kids, we can't afford to ignore power plants' overwhelming contribution to global warming," Rubiello said. TECO spokeswoman Cherie Jacobs is disputing the report's claims. "Tampa Electric, over a 10 year period, has invested more than $1.2 billion in state-of-the-art environmental improvement at our power plants including Big Bend," Jacobs said. "We have fully scrubbed the Big Bend power plant." According to the study, Florida's power plants produce as much carbon dioxide yearly as almost 25 million cars. It also states that Florida's power plants are the single largest source of carbon pollution, making up 49 percent of statewide emissions. *A previous version of this article incorrectly stated "air pollution." Air pollution encompasses more than only carbon. Hurricane storm surge can inundate the narrow, low-lying Florida Keys, but that is far from the only water worry for officials. A tidal gauge operating since before the Civil War has documented a sea level rise of 9 inches in the last century, and officials expect that to double over the next 50 years. So when building a new Stock Island fire station, county authorities went ahead added a foot and a half over federal flood planning directives that the ground floor be built up 9 feet. 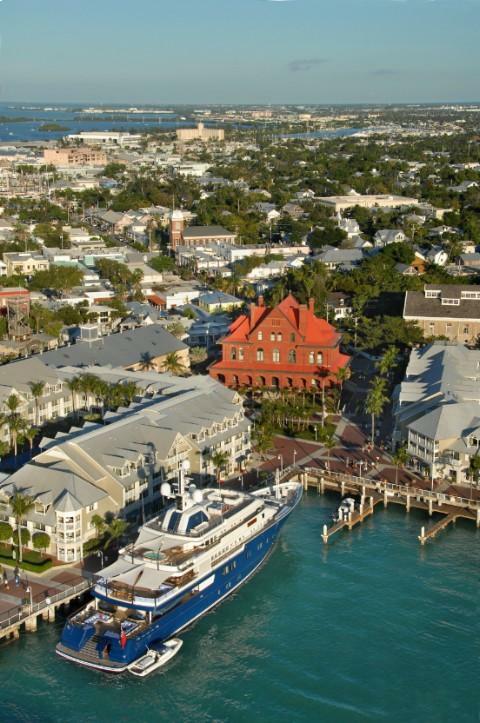 Seasonal tidal flooding that was once a rare inconvenience is now so predictable that some businesses at the end of Key West's famed Duval Street stock sandbags just inside their front doors, ready anytime. Approaching the third anniversary of the Deepwater Horizon disaster, Gulf Coast cleanup efforts -- and legislative filings -- continue. Saturday, April 20, marks the third anniversary of the Deepwater Horizon oil rig explosion. The accident killed 11 workers and released nearly 5 million barrels of oil into the Gulf of Mexico. But efforts to restore the gulf are far from over. A new report by the federal Oil Spill Commission gives Congress a D-plus for its handling of the ongoing cleanup.